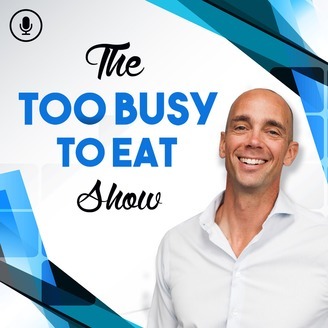 The Too Busy To Eat Show is dedicated to improving the lives of busy people by providing them with inspirational stories from high achievers. During each show tactics, tips, and routines are revealed to help those striving for success to reach their goals. 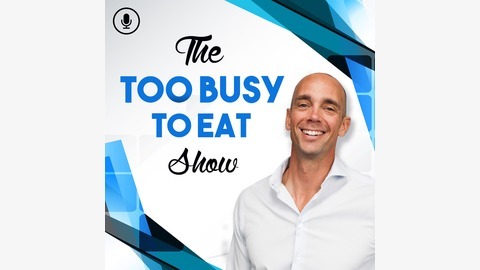 The Too Busy To Eat founder and CEO, Greg Zuffelato is the host of the show. For more information about Too Busy To Eat go to www.toobusytoeat.com. Craig Ballantyne is a Productivity & Success Transformation Coach from Toronto, Ontario, Canada. He is the author of The Perfect Day Formula: How to Own the Day and Control Your Life — and his brand-new book, The Great Cardio Myth, debunks all the untruths you've been told about cardio being a silver bullet for weight loss and heart health. In this episode, Craig shares his journey as a writer, personal trainer, and coach. He also shares his formula on how one can own the day and take control of the life one craves. He also debunks the role of diet, exercise, and sleep to make you function at your optimal self while enjoying work-life balance.